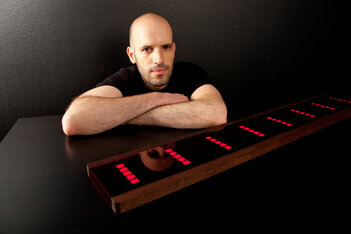 The air piano was invented by Omer Yosha in Germany . First prototypes came out in 2008 Yes it's called a "piano" but it has no keys neither you need to play "keys" to make it work. Yes, it looks like magic while your hands move in the air. Somehow I feel (as piano player myself) that maybe "air piano" was not the right name for it as I'd say it's more a "digital controller" but I guess that as it looks similar to a keyboard this came to mind to his creator. It looks in fact like magic and offers so many possibilities! The hardware (which by the way is built in an elegant walnut wood and dark red acrylic glass) makes no sounds on its own and it needs to work connected with a computer (MAC or PC) via an USB port and works like a MIDI and OSC (open sound control) controller, so how does the airpiano sound? It does sound however you want it to... considering you can link it to any VST (virtual instrument) of your library, with the eye catchy fact that you don't need (like the theremin) to touch in order to make it sound but they are in fact completely different instruments both in concept and way of being played..Still the fact that you seem to play the "invisible" air in both of this instruments sure you'll catch the curiosity of your audience as performer. The air piano has a layout The airpiano comes with its own software to control it and it has a matrix of 24 discrete keys and 8 faders which are not on the screen but above arranged in a touch-free interface. each assigned with MIDI messages ready to be triggered. The length of a triggered note is equivalent to the time a hand is placed on the corresponding virtual key, which is also confirmed by LED feedback. The airpiano software allows setting the device in numerous ways and since there are no “rules” of how to play an airpiano, new creative ideas and playing techniques will come to life!. Good thing is that is rather small ( 960 x 160 x 26 mm) and lightweight (less than 3 Kg) making it rather portable. 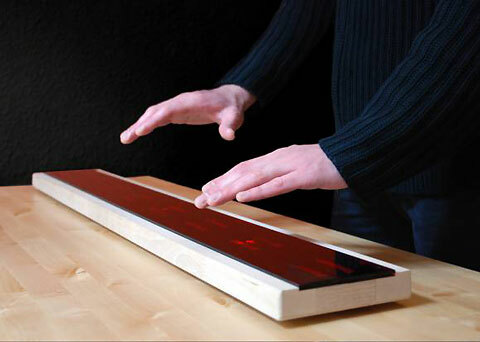 More info at the official site of the airpiano. They offer a downladable zip brochure with the specifications. Below you can see a demonstration of the air piano made by Jo Hamilton. 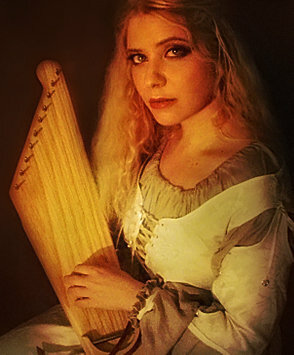 A british artist that has become one of the most reknown performers of this instrument and first artist using regularly on tour. Longer version with more details in this other video.